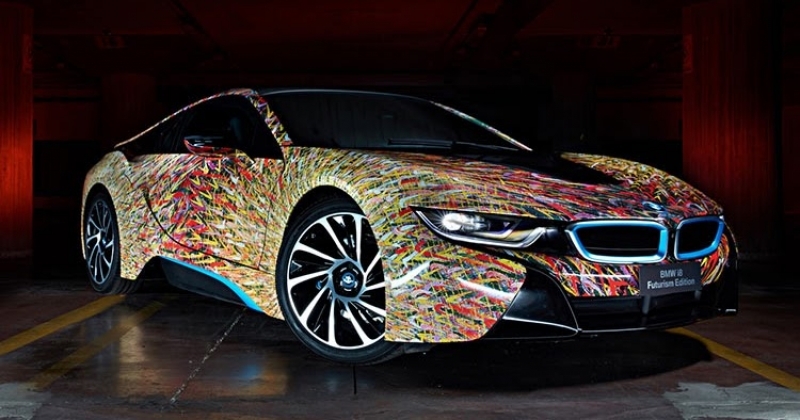 A special version of the BMW i8 eco-supercar has been wrapped by the Italian custom shop Garage Italia. The resulted BMW i8 Futurism is exotic and exciting. Honoring 50 years of the BMW brand in Italy, a colorful and dramatic version of the BMW's sleek i8 eco-supercar has been worked on at the Garage Italia custom shop. 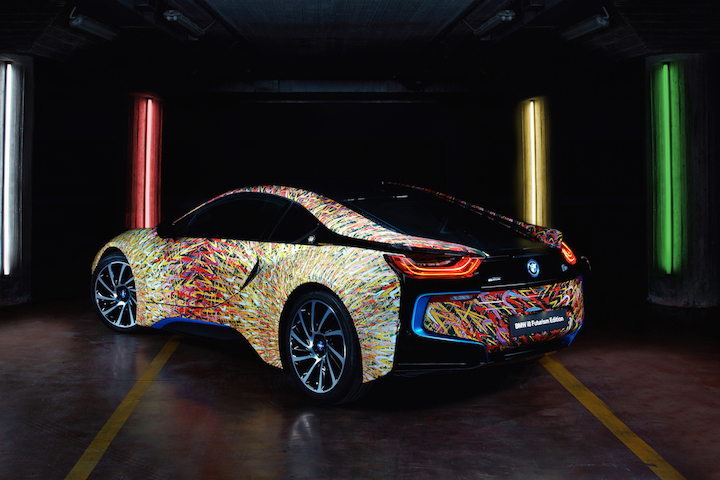 Wearing a color-splashed wrap inspired by Italian painter Giacomo Balla’s 1909 work titled “Street Light,” the BMW i8 Futurism is both a nod to visionary art of the past and a vision of a dynamic technological future. 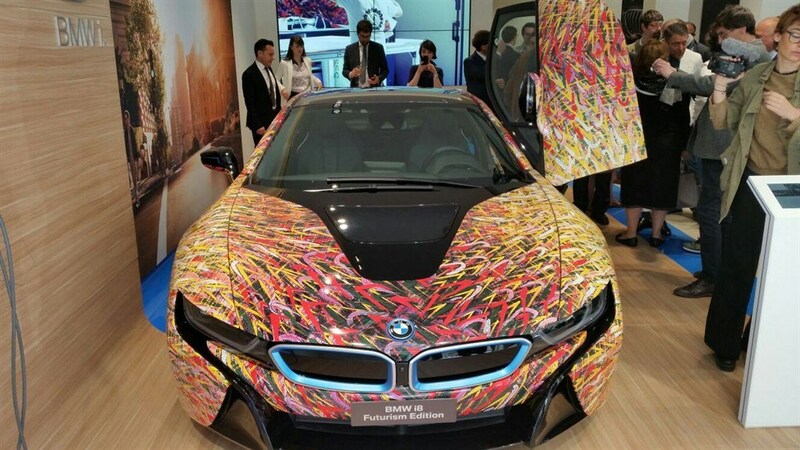 Basically it is just a stock i8 that's been covered by one of the most intense vinyl wraps you'll ever see. Giacomo Balla's 1909 painting Street Light, is depicting shards of intense color emanating from a glowing lamp. 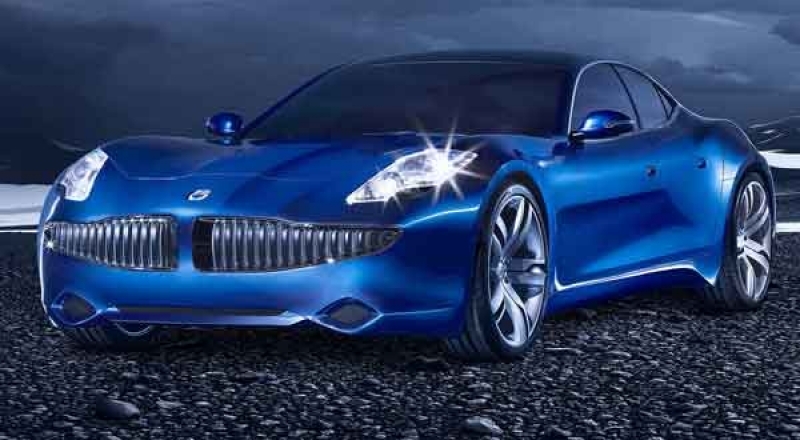 It works extraordinarily well with the lines of BMW's hybrid exotic, giving it an almost Art Car feel. 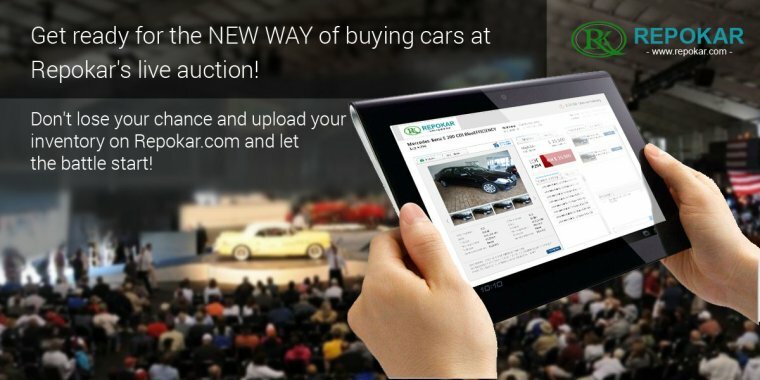 But buyers should know that customizing a BMW i8 in such a way, is a $10,000 option. The BMW i8 is exotic, forward-thinking, and most of all, exciting. 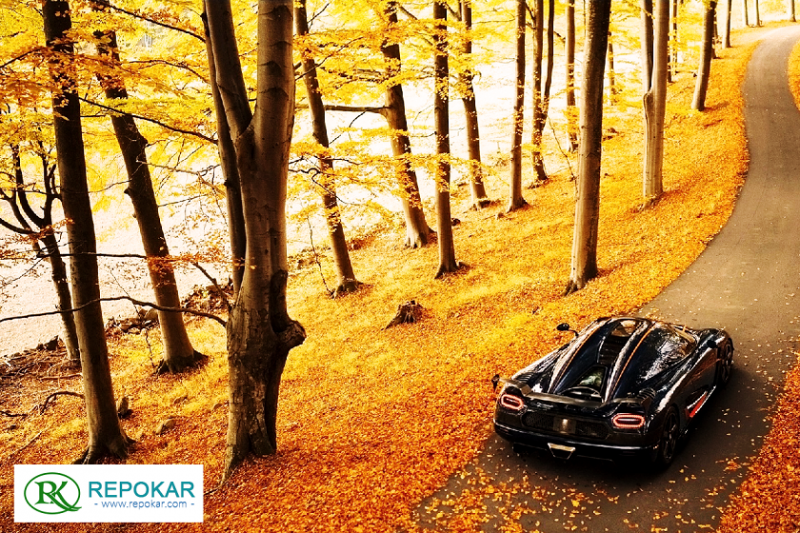 Carbon fiber tub, electric motors, butterfly doors, that sound when it starts up–all this makes us eager, not fearful, for the future of the sports car. Doesn't this Vilner Mercedes S63 AMG have the best interior? 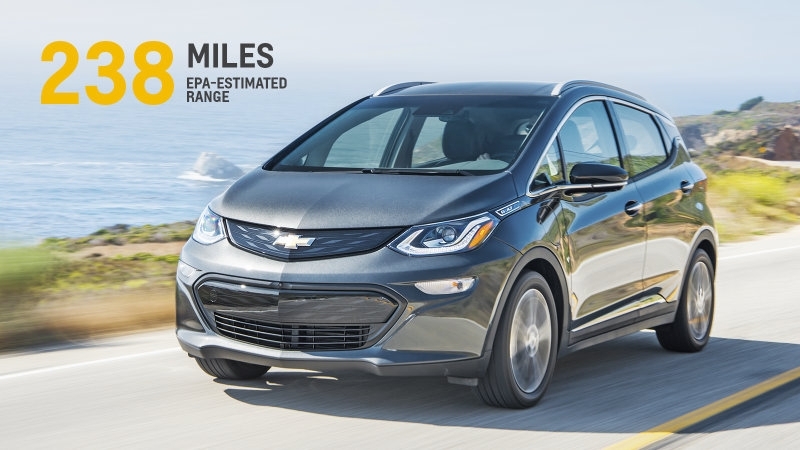 Chevrolet Bolt compact car will be able to go 238 miles on a single charge!